Be sure to check out our video clips page! I don't expect that many visitors to this site will have ever heard of Best & Gordon or our Purple Haze junior fuelers that campaigned in the North Central region for a few years in the early 70s. This is really just a story of how a couple of long-time drag racing fans, with little practical experience, were able to come down out of the stands and within a few years become competitive in the NHRA Pro Comp ranks. 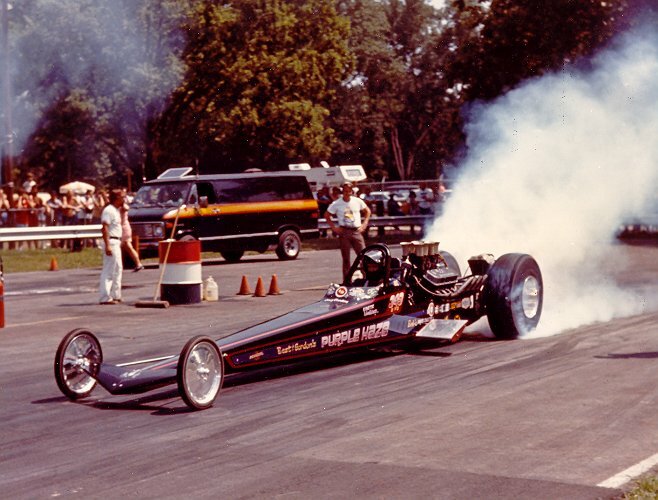 It's also a nostalgic look back at the waning years of drag racing's amateur phase, when it was possible to compete at this level with money out of one's own pocket. We truly did it back then purely for love of the sport! I hope that you enjoy reading about our adventures and the pictures that accompany them. It may bring back memories of what drag racing was like in the early 70s. Be sure to send me your comments on the site, especially if you happened to have been around in those days, and were perhaps one of the people that we raced with and against. 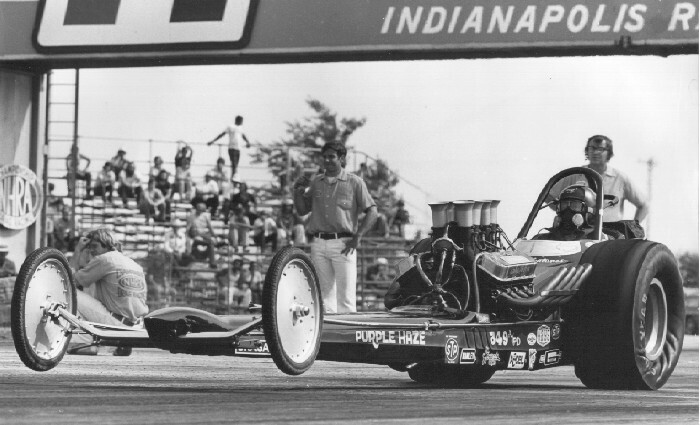 Purple Haze I at the 1974 U.S. Nationals in Indianapolis. 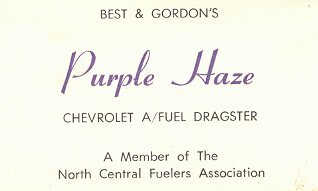 Purple Haze II at a 1975 NHRA WCS meet.